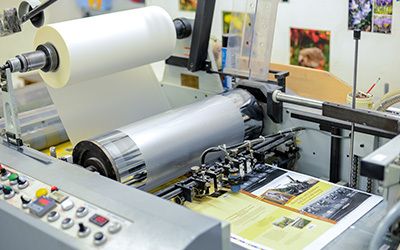 BALTO print uses only the highest quality equipment for prepress, printing, postpress and binding. 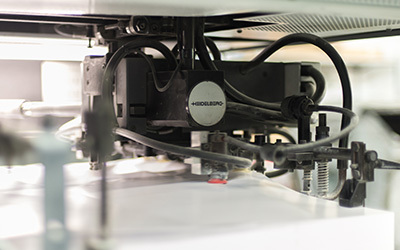 BALTO print prides itself on flawless printing quality. Special hybrid “Cores” raster in accordance with the highest requirements of reproductive printing. Hard-Proof calibration system based on CMYK colours. particularly efficient automatic on-line plate production machinery (CTP - Computer to Plate). web to sheet digital multicolour (4+4 ) single pass double-sided printing. sheet to signature sewing machine. multicolour printing with an option to print an additional fifth colour (5+0) and apply aqueous varnish (+L). multicolour (4+4 or 8+0) single pass double-sided printing with automatic ink supply, devised for continuous workflow. multicolour (4+4 or 8+0) single pass double-sided printing. monochrome (1+1) single pass double-sided printing, as well as two-colour printing. 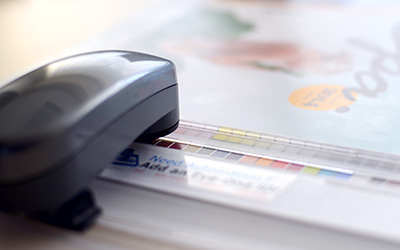 The stability and regularity of the colour gamut throughout the printing process is assured in accordance with the international standard ISO 12647–2 "Graphic technology – Process control for the production of half-tone colour separations, proofs and production prints – Part 2: Offset lithographic processes. ISO 12647-2:2004/Amd.1:2007(E)". The quality of the imprint is controlled by automatic colour intensity measuring and sustaining system AXIS CONTROL and GRETAG optical density measuring devices. Specific ICC profiles can be found at www.eci.org. UV varnish coating machine. Full or partial coating with various UV varnish types. and other equipment for trimming and folding quires, cover laminating, stamping, embossing, creasing, product packaging, other postpress processes. automatic complex casing-in binding line. Cover types: casebound (hardcover) or paperback, full binding, half binding, wrapped with paper or other covering material, various decoration options. perfect binding line. Product types: perfect bound, thread-sewn, with flaps. automatic casing-in and perfect binding book blocks sewing machines.